My favorite books to use for sketching and journaling are Moleskine books because of the quality of the pages and the feeling of my hand and pen against the page. Since I use a Moleskine book every evening for my daily journal, I decided to make a simple journal case. 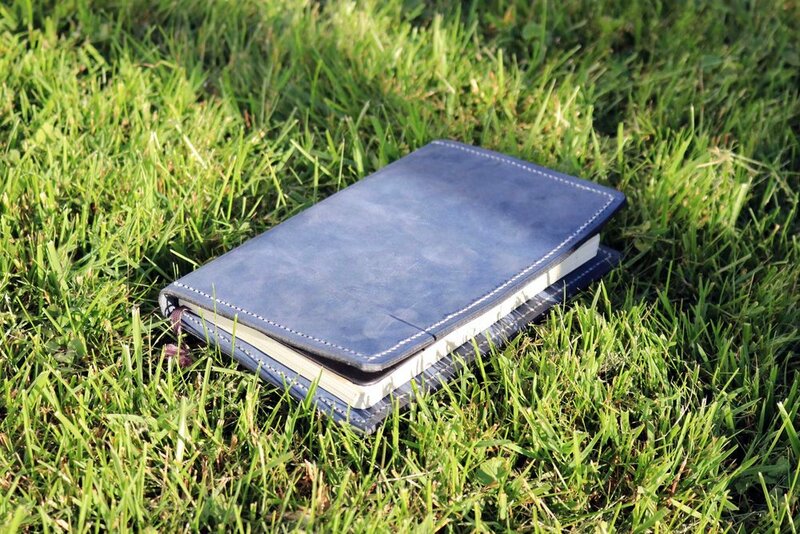 This would protect the book and also provide pockets for storing additional pens and cards. Following the simple and minimal designs of all of my products, the Mars Journal Case has two large pockets where one flap of the Moleskine book can be inserted and held in place. The other large pocket can be used to store small rulers, paper, and small items. The leather piece that creates the large pocket has two cuts in it; one large one horizontally across the center for storing pens, brushes, and other tools and another pocket for storing cards. This journal case would allow artists to travel and easily access their tools and sketch book whenever they came up with an idea. For designers who often bring their sketchbooks to meetings, the card slot gives them the ability to store their business cards. This was a simple project that I thought of and executed during the same day. Although it was made relatively quickly, it’s one of my favorite products because of its functionality and rawness. 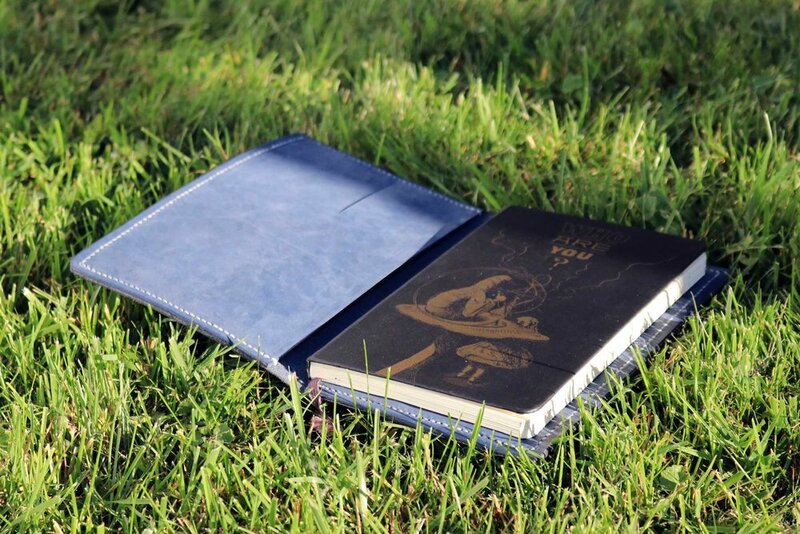 The beauty of the leather cover and the various pockets allow artists, designers, and writers to travel and create with ease.